At some point, you are going to realize that you need a West Hartford roofing contractor to take care of a variety of service needs. 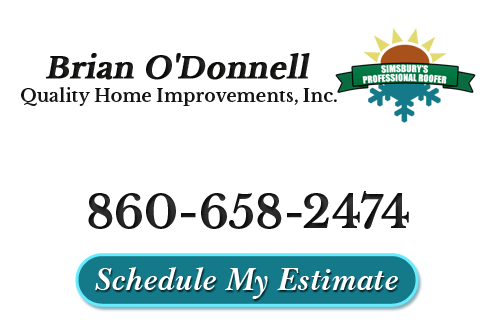 Brian O'Donnell Quality Home Improvements can provide you with the work you need, because it is not just about getting it completed. It should be about making sure that you get the level of quality that you need. Your rooftop is the most important aspect of your home, yet too many homeowners neglect to treat it as such. This is certainly one area of your home that you should make it a point to get the best work possible. This includes even taking care of roof inspections every year and following any severe storm activity. The last thing that you want to do is let minor repair needs develop into major problems, just because you procrastinated. Let our team help you safeguard the most important feature of your home. We can provide you with the enhanced performance and longevity you should be able to expect. Roof Repairs – Address repair needs promptly and professionally, before it can develop into something more serious. Roof Replacement – At some point repairs will not be enough and it will be time to move on to replacement, which we can take care of. Storm Damage Repairs – Even if you only suspect that you may have damage from a recent weather event, call us to check it out – better to be safe than sorry. Roof Ventilation – If you have noticed mold in your attic, it is probably a result of improper ventilation so let us provide you with a professional analysis. Although we offer more than this, these are some of the most common tasks that we can take care of. We get asked sometimes about what makes us the best choice in the area for roofing services in West Hartford, CT. Having almost 40 years in the industry certainly gives us an advantage over our clients, but there is so much more to it than that. 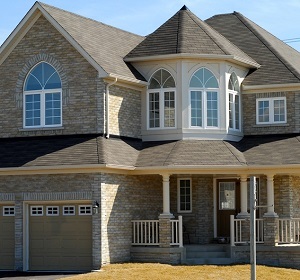 We are able to provide you with the exceptional quality work you need to keep your roof in tact. Yet we do this by treating you like we would want to be treated. In fact, we take care of your rooftop as if it were our own – if not better. Don't take chances when it comes to the level of quality that goes into your roof, let our roofing contractors provide you with expert care for every type of service. You can feel confident knowing that Brian O'Donnell Quality Home Improvements will also be there for skylight services too. Whether you are considering getting one installed for the first time or even if you want the one you have had for years removed, we can take care of this for you. The best part is that we use Velux "No Leak" Skylights in West Hartford so you can feel good about getting quality products. We look forward to working with you and providing you with the workmanship you deserve. There is no reason to settle for less than the best when it comes to the work you get done. So give us a call now and let us take care of everything from installation and inspections to repairs and replacement. "Brian did what he said he would do. He showed up on time and was very professional in his work. The work took a little longer than he initially expected, but we were actually glad at this as it showed he and his worker did not rush the job, but did quality work. We were very pleased." "Thanks Brian. The job came out looking great. Your team did an excellent job." If you are looking for a professional West Hartford roofing contractor then please call 860-658-2474 or complete our online request form.